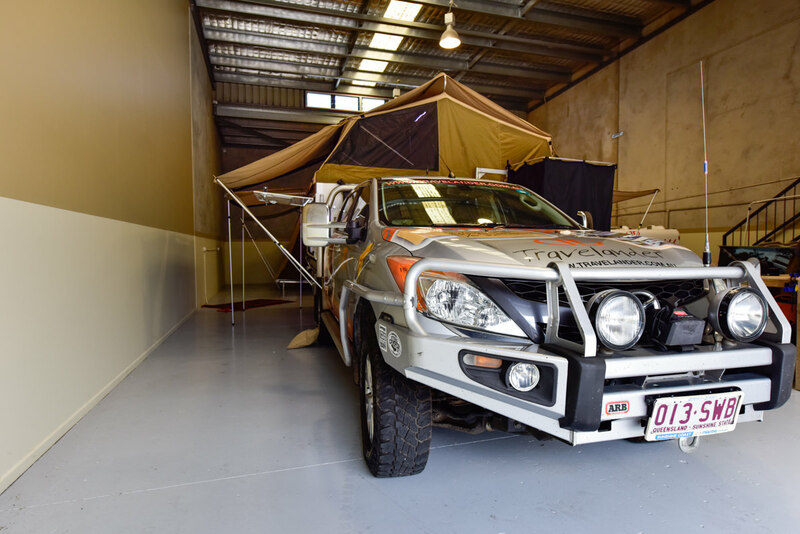 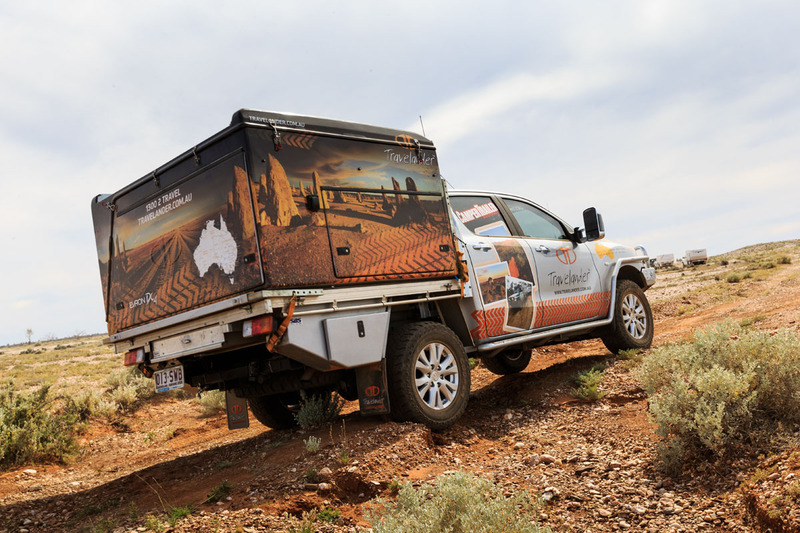 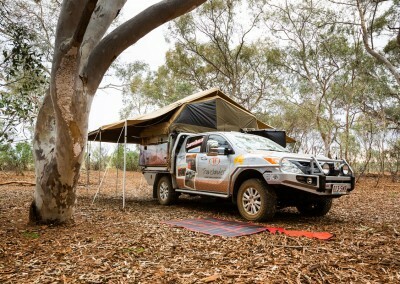 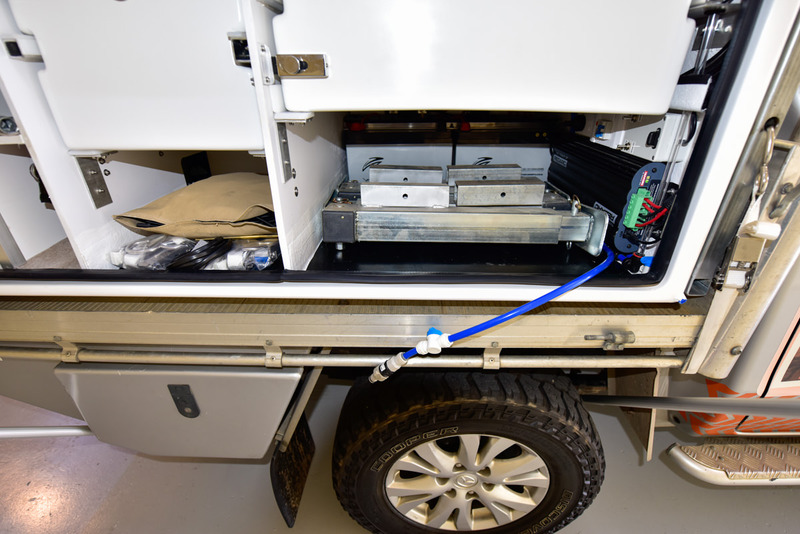 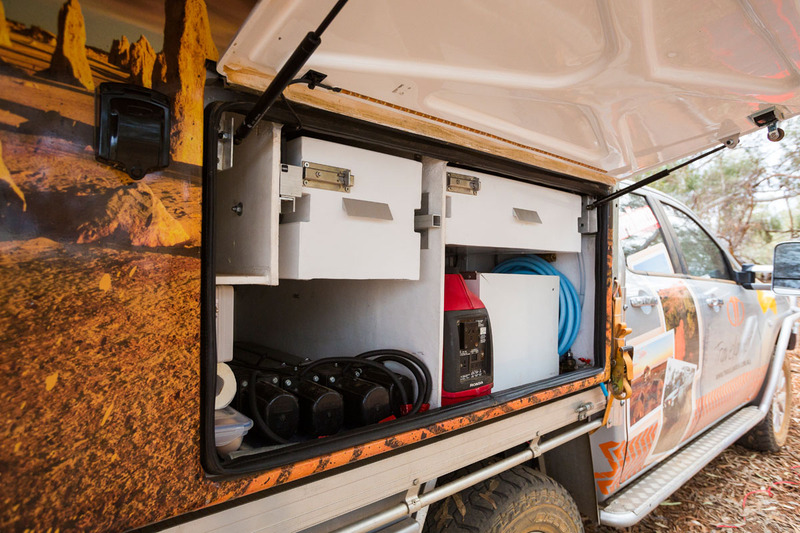 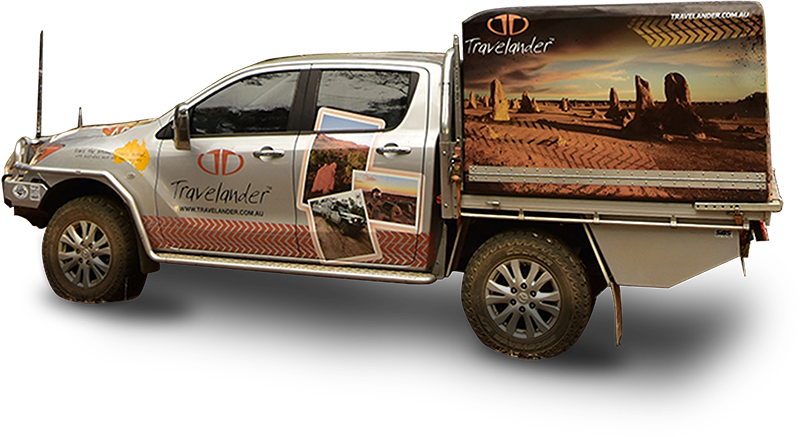 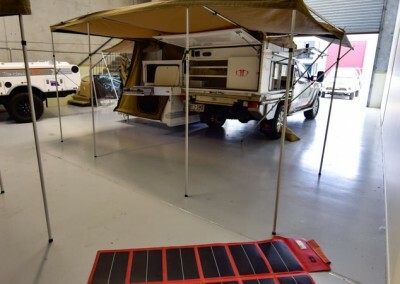 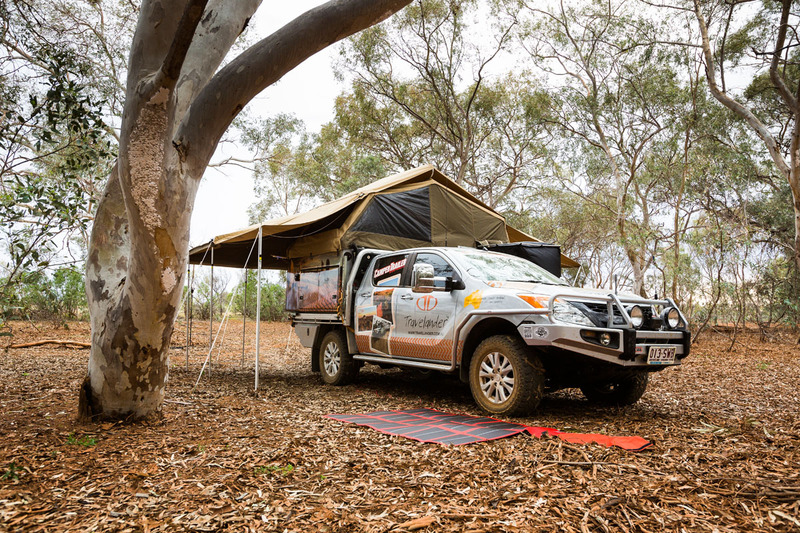 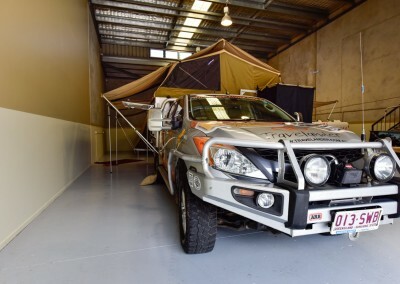 Due to the practical design of the dual cab tray back camper, it is a great alternative to buying an off-road camper trailer if you aren’t keen on towing. 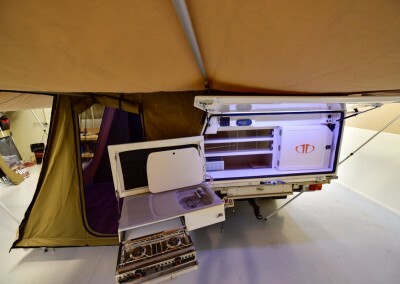 Designed as a hard floor (left hand) folding camper, you can pull off on the side of the road and prepare your lunch without unhooking the boat. 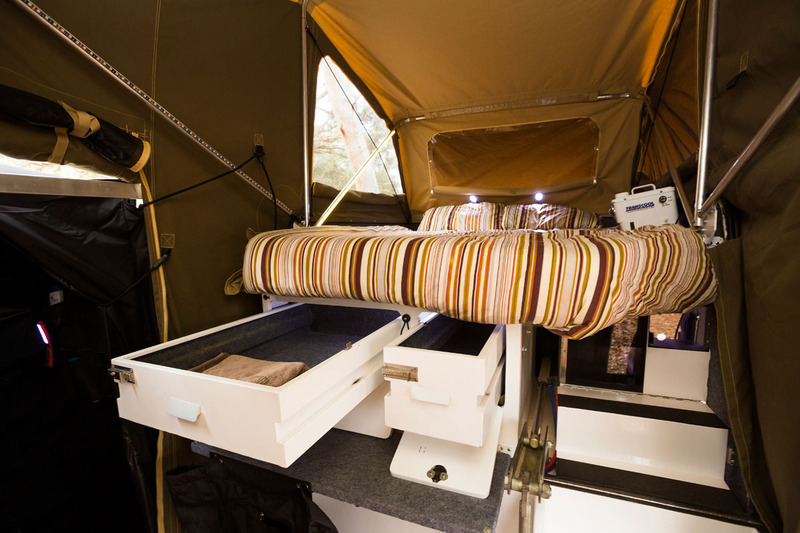 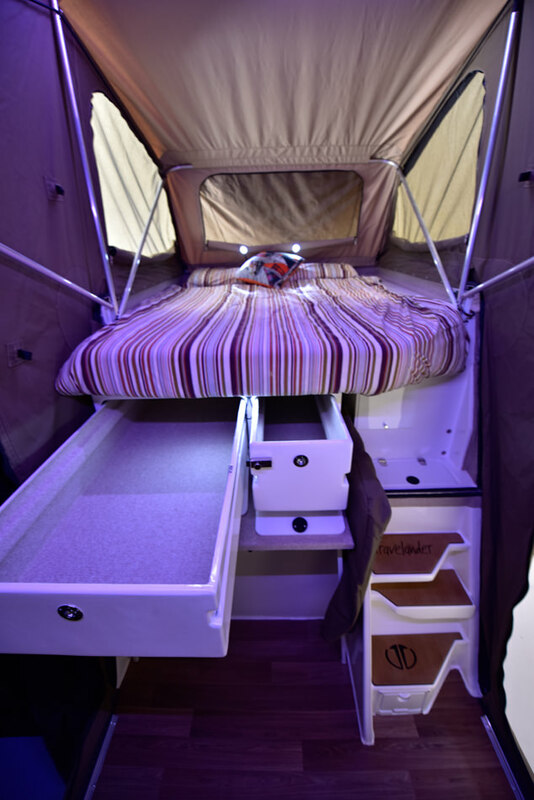 With the press of a button, you can also open up the sleeping quarters anywhere and have a quick rest. 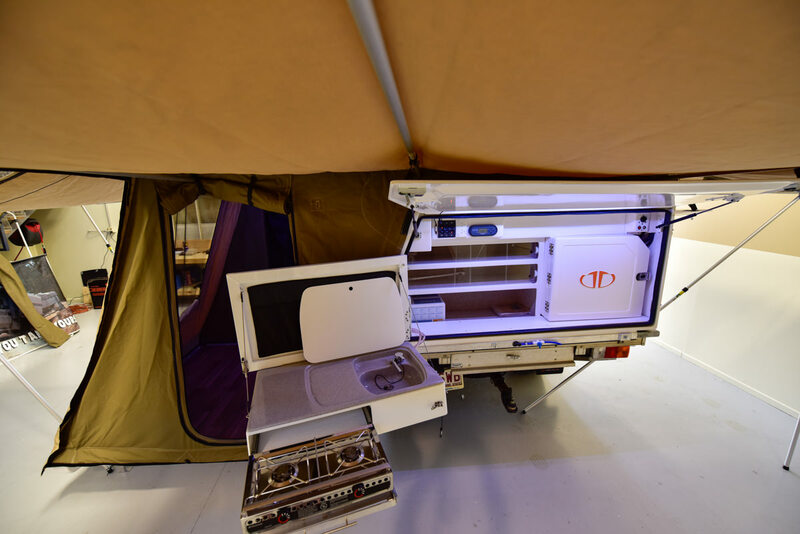 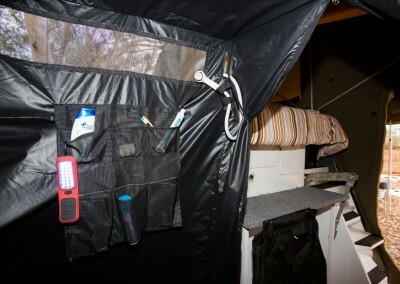 The kitchen is located at the rear of the camper, which when open is sheltered from the sun, as the kitchen door sits hinged on gas struts above your head. 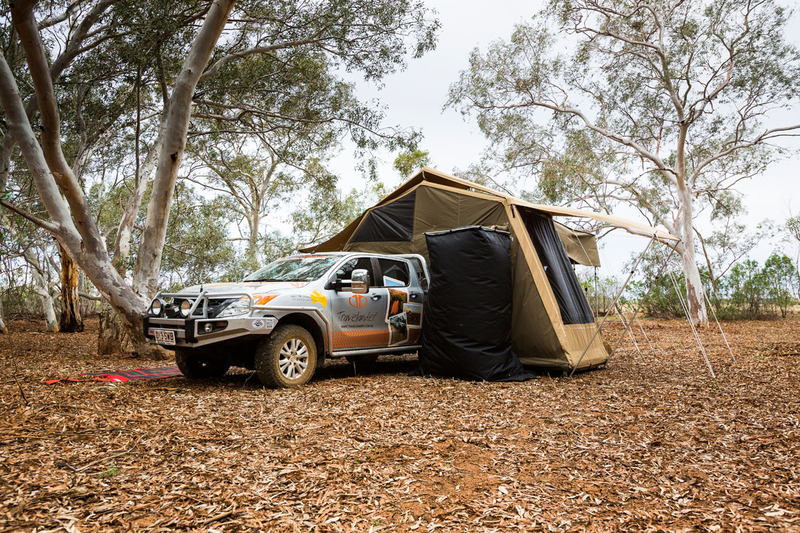 You are also supplied with a sun shade which gives you extra protection if you are stopping off in the middle of the day for an extended period of time. 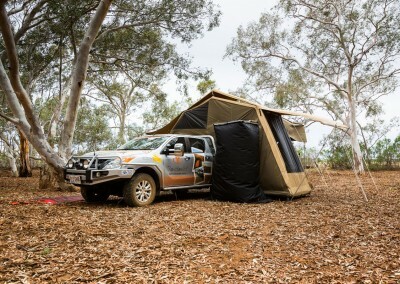 The canvas provided for the tent is made from a premium outdoor fabric which has been dyna proofed to prevent sun penetration. 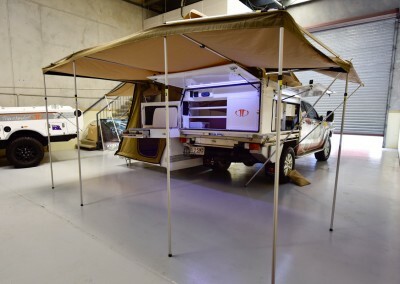 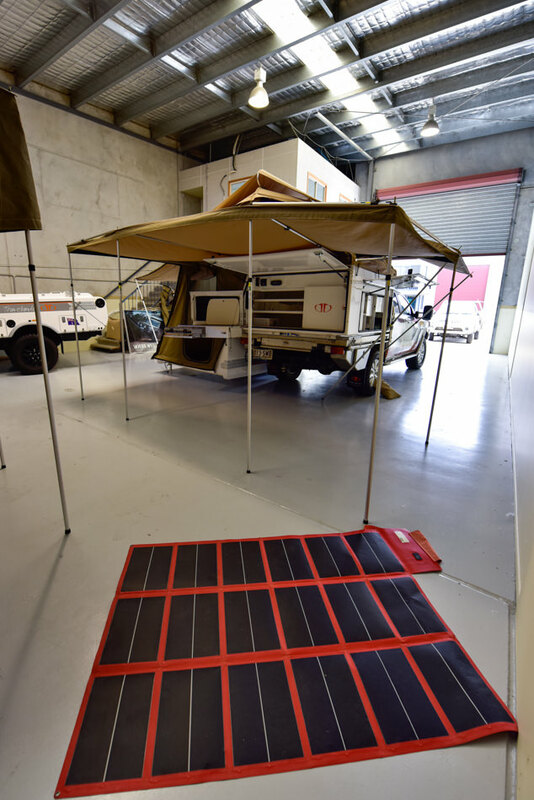 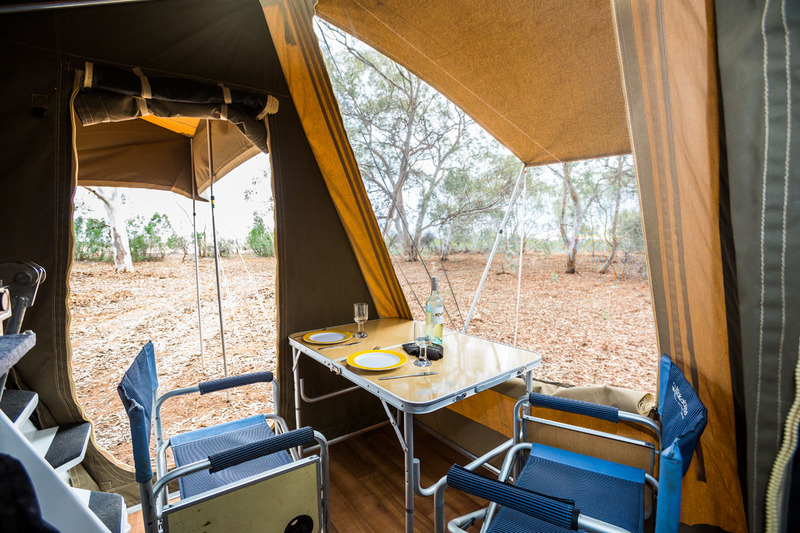 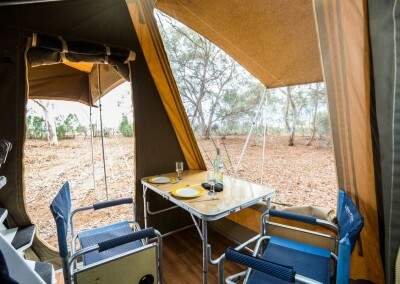 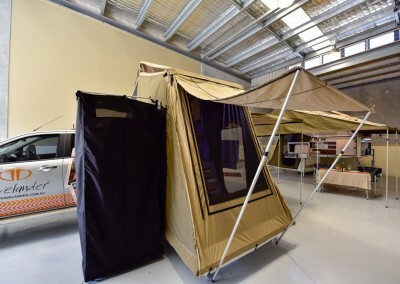 A tropical roof cover also prevents dew from building up and dripping on you from inside the camper and most importantly, reduces the amount of heat from the sun. 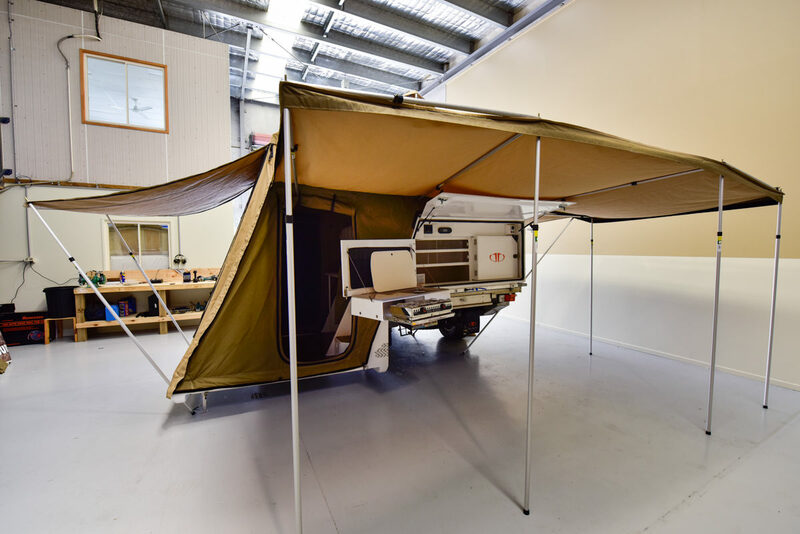 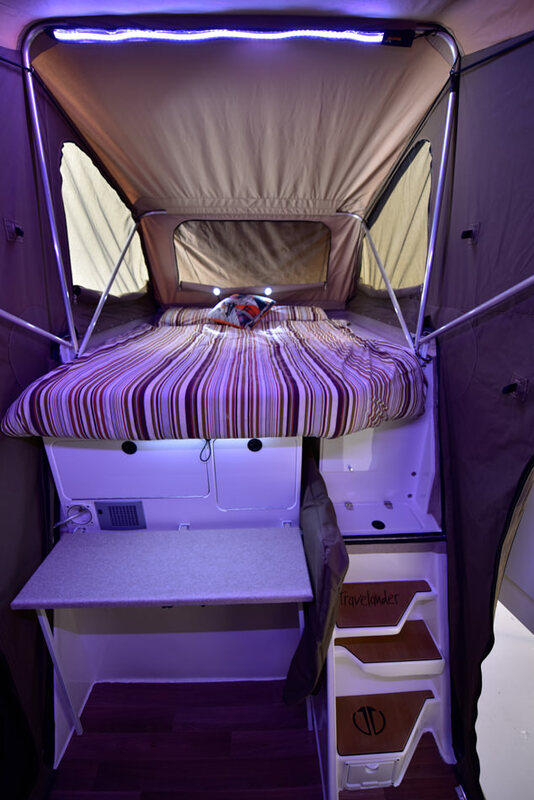 This particular dual cab camper has been designed so that you can get away quickly & easily for a simple weekend away or that long awaited off-road holiday! 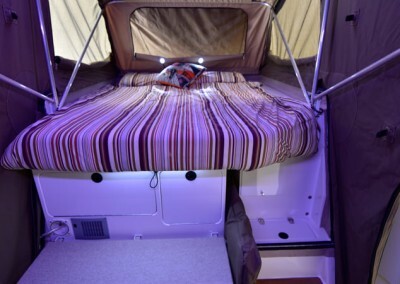 It is cheaper on fuel and there is no back breaking exercise of opening and closing the camper. Designed as a hard floor (left hand) folding camper, you can pull off on the side of the road and prepare your lunch without unhooking the boat. 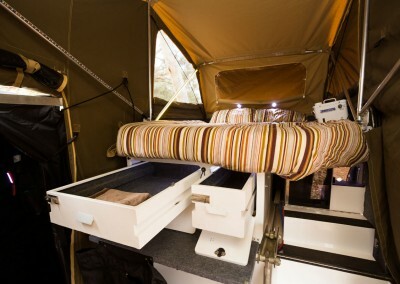 With the press of a button, you can also open up the sleeping quarters anywhere and have a quick rest. The canvas provided for the tent is made from a premium outdoor fabric which has been dyna proofed to prevent sun penetration. 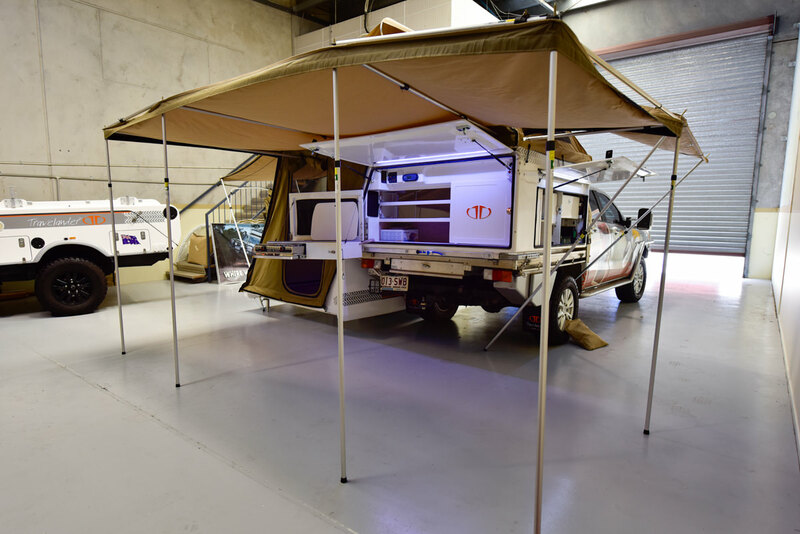 A tropical roof cover also prevents dew from building up and dripping on you from inside the camper and most importantly, reduces the amount of heat from the sun. 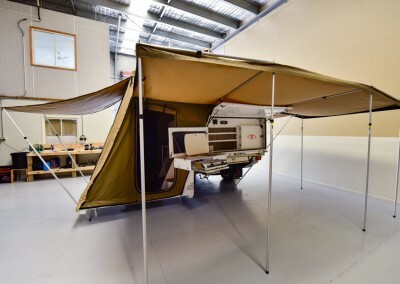 This particular dual cab camper has been designed so that you can get away quickly & easily for a simple weekend away or that long awaited off-road holiday! 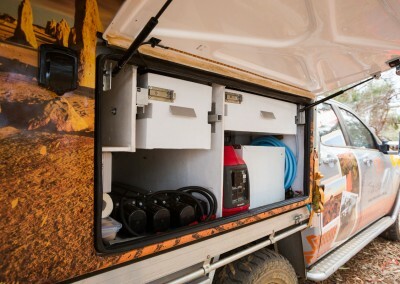 It is cheaper on fuel and there is no back breaking exercise of opening and closing the camper. 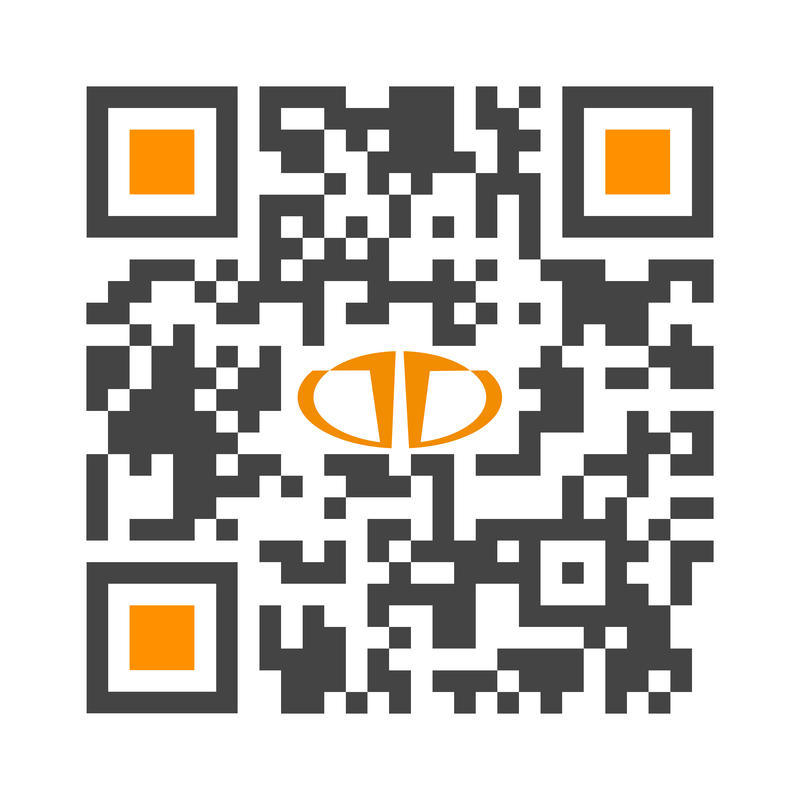 Scan QR code for brochure download.